Kenny Pools | 713-898-0812 | Houston Texas swimming pool and spa specialists | salt water pool specialist | handicap accessible pools. 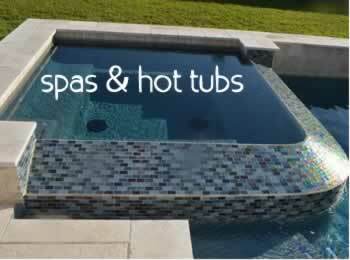 Based in Houston, Texas we specialize in innovative custom pools and spas. We have over 20 years of experience building the highest quality custom pools and we really enjoy creating a backyard oasis for our customers and their families. We use the most up-to-date water technology plus natural pool products. We pride ourselves on our quality of work and our customer service. 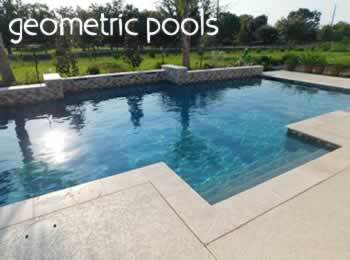 As a custom pool builder, we tailor your swimming pool and spa design to your specific requirements. 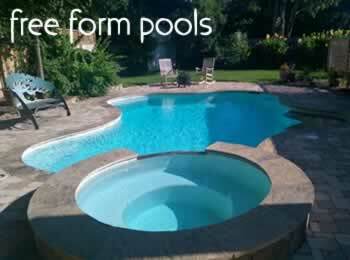 You might be considering a free form or geometric pool, a large or small pool design, maybe on flat terrain or terraced or on a hillside - we design your pool to ensure the end result is of high quality and completely yours. 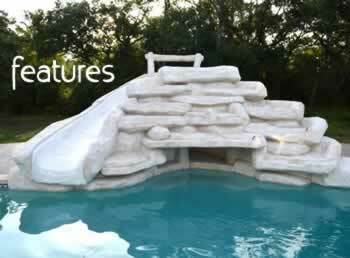 Features like slides, Acapulco shelves, grottos and beach entries can be added to your taste. And heighten the beauty of your pool with decorative features such as waterfalls, colored lighting and mosaics. We've been doing this for a long time and because we understand the process so well, we are able to make your new pool construction go as smoothly as possible. Our team of professionals understands everything that's required for the proper construction and engineering of your swimming pool and spa.